letbeautybeyourconstantideal Beauty Interprets, Expresses, Manifests the Eternal: Do You Know Hindi? Do you know what was special about the date of 14th September, exactly a month ago? Perhaps no. In India, every year 14th September is celebrated as Hindi Diwas (Hindi Day). 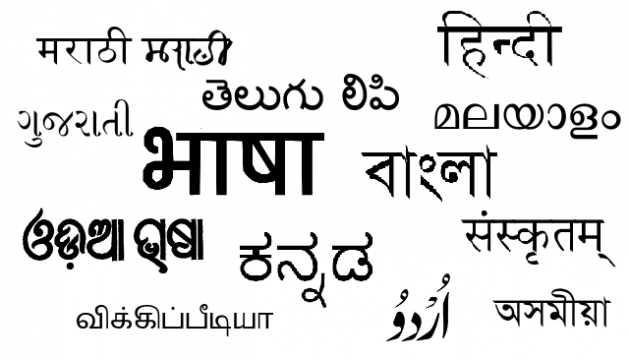 Isn't it strange that in its own country, Hindi needs to have a special day for itself? This day is used to propagate the use of Hindi language and also create greater awareness and interest in Hindi literature. In today's India where it is commonly understood that one needs to have at least a functional knowledge of English in order to get ahead in any field of activity, several efforts are also going on to preserve and propagate the use of many Indian languages. Hindi Diwas is one such effort. Today, on 14th October it occurred to me that perhaps I should introduce my readers to a few selected Hindi websites. I have a feeling that if you know how to read Hindi, you would certainly like to spend some time exploring these websites. First up is Bharatkosh. Here you will discover articles on several topics including art, literature, Indian philosophy, religion etc. To know more about this website, click here. A few days ago while surfing on Bharatkosh, I came across a small article on Kudiyattam dance. Readers may recall that sometime back I too had written a post about this dance form from Kerala. If you are interested in Hindi literature, perhaps you are already familiar with Abhivyakti. Do spend some time exploring their link titled Gauravgatha. And if you are interested in reading a bit of Hindi poetry, I am sure you would like to spend some time on Kavitakosh. Before closing, a quick word about another useful link, Bhashaneeti. This is an effort by someone known to me, here you may find a new approach to visioning India's future. The person behind this website also writes here.